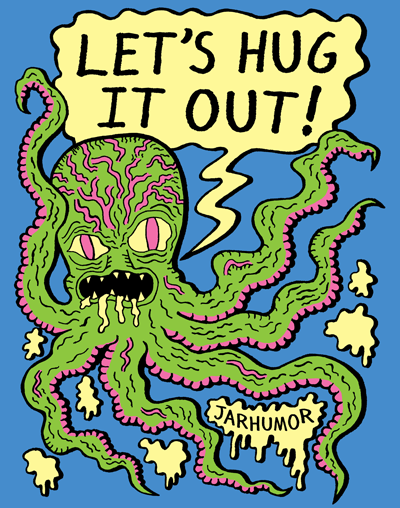 JARHUMOR: Let's Hug It Out! 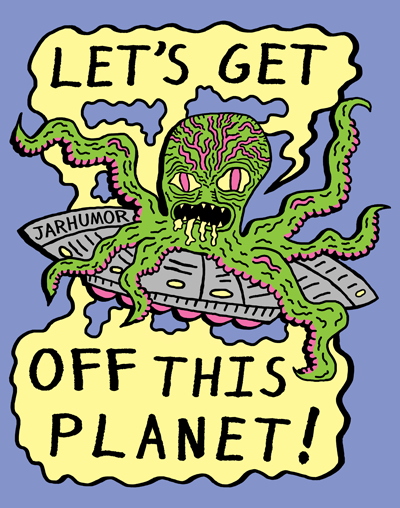 Have you seen “Creatures From The Earth Planet?” No. 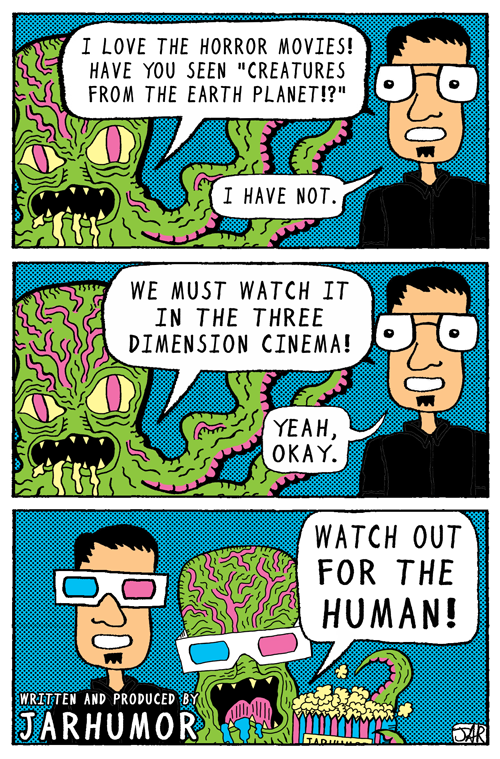 Well, we should watch in the 3D cinema! 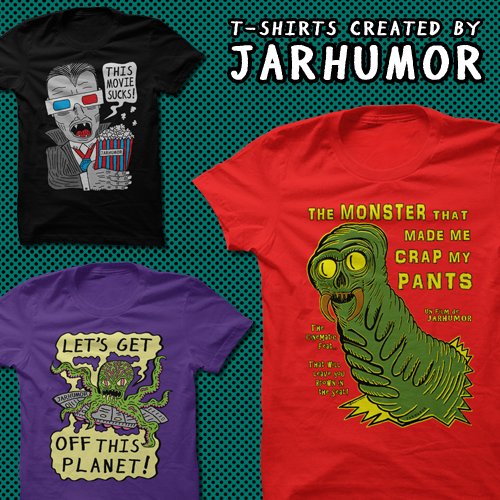 Get my humorous alien art on a human t-shirt in my SHOP. 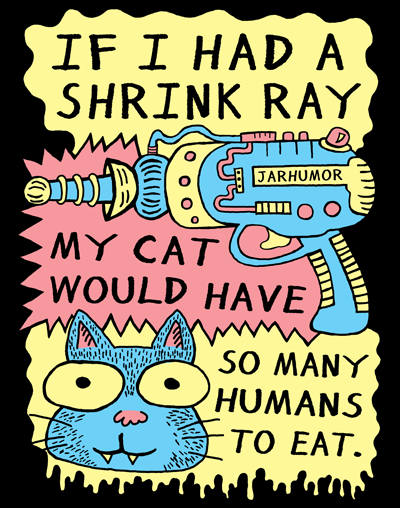 Can your mind handle the horrors of a sci-fi, alien, haunted house movie? The House That Contained Really Scary Alien Ghosts! A screenplay by James A. Roberson. Watch the video on YouTube. 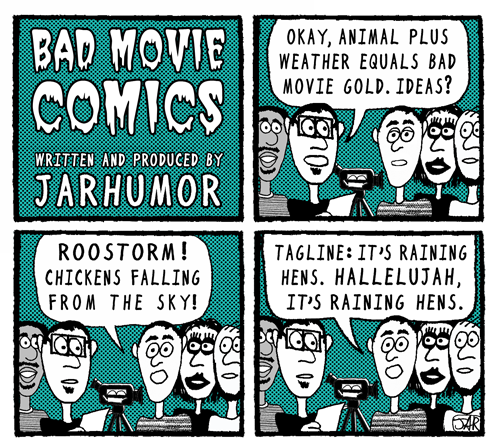 Check out my Bad Movies Comics video on YouTube. 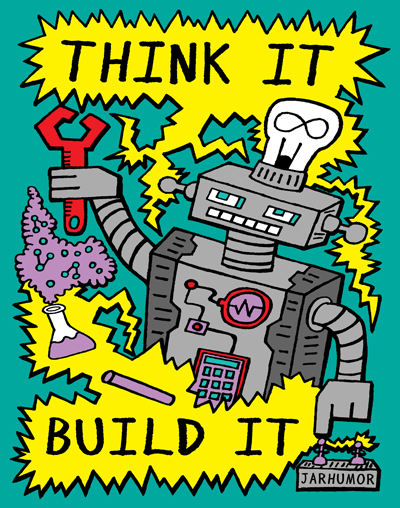 For all you makers, builders, creatives and engineers out there. 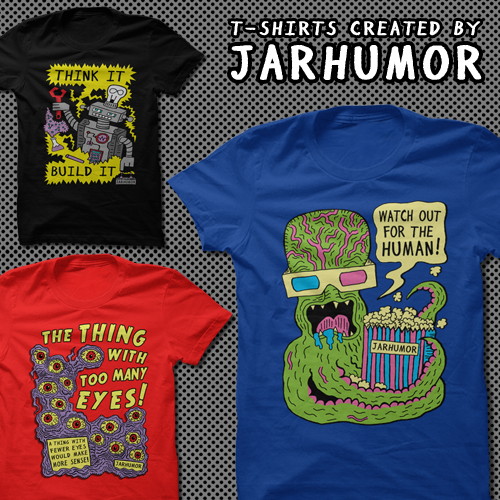 As ye think so shall ye build... GET THE T-SHIRT!